Located 25 minutes' drive from Yosemite South Entrance, Oakhurst Lodge features free Wi-Fi access is available in all rooms. 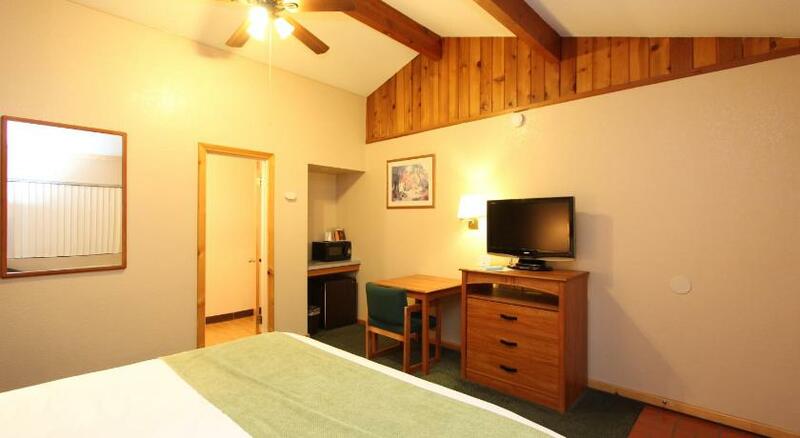 A continental breakfast is served daily.A cable TV is provided in each air-conditioned room at Oakhurst Lodge. Complete with a refrigerator, the dining area also has a coffee machine. Featuring a bath or shower, private bathrooms also come with a hairdryer and free toiletries. Parking is conveniently available directly in front of the rooms. Guests of this accommodation can enjoy a free daily continental breakfast featuring freshly brewed coffee, seasonal fruits, yogurt, pastries, bagels and cereal. Guests can make their own Belgian waffles.At Oakhurst Lodge you will find a 24-hour reception. Other facilities offered at the property include a vending machine featuring cold drinks. The property offers free parking.Chukchansi Gold Resort & Casino is 19. 3 km from the property. Yosemite Ziplines & Adventure Ranch is 44.3 km away.